The tow vehicle is a 2013 Hyundai Santa Fe Sport 2.0T AWD. Lots of pep. Milage penalty for towing is about 10-15%. The hitch was dealer installed. 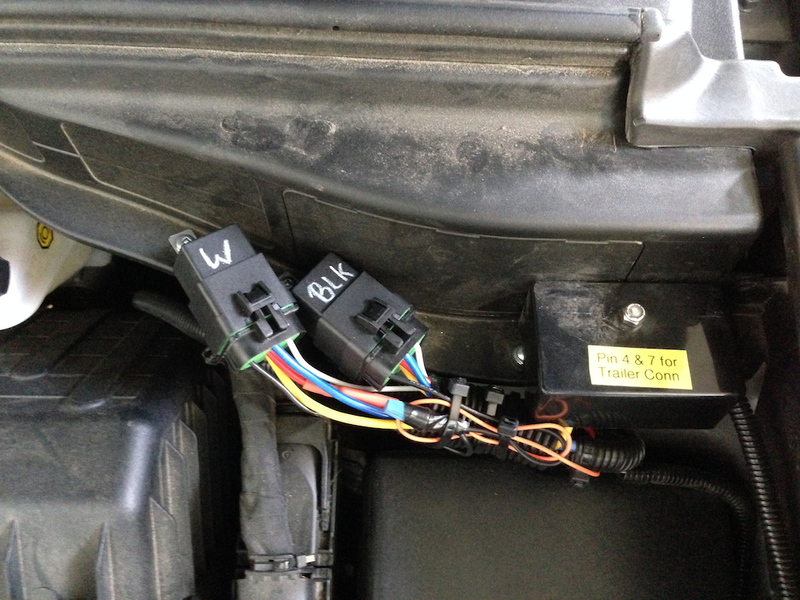 I upgraded the 4-pin wiring to 7-pin myself, running 2 x #10 wire to the rear of the vehicle. I’m using frame ground, 2 places. In retrospect I probably should have run and extra wire as ground to Battery Negative. I may still do that but so-far it seems unnecessary. After the first lengthy trip I added relays to the circuits going to the back so that I don’t have to disconnect the trailer on those quick overnight stops when trailer stays hooked up. With the relays the trailer receives power from tow vehicle only when it’s running. 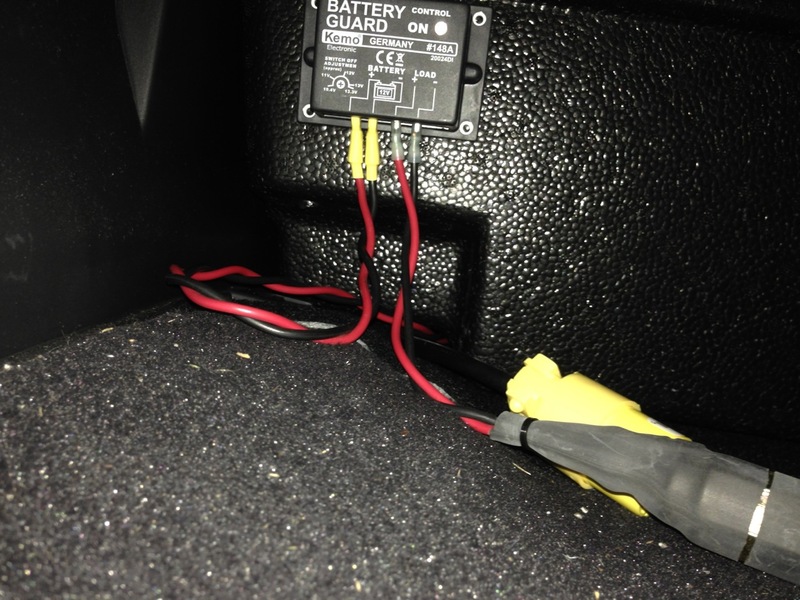 I also added a 12 Volt outlet that is easily accessible from the rear cargo area where my portable Engel fridge will be located. In addition to the 12 Volt outlet I also installed a 110 Volt extension so that I can run the fridge on AC when hydro power is available, without hanging extension cords in doors or tailgate.